For a primary care physician in the Irvine, California, area, there is no better choice than Vital Urgent Care. 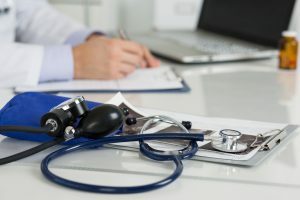 In addition to being a quality walk in clinic that is certified by the Urgent Care Association of America, we also offer reputable and thorough primary care services with highly renowned physicians by appointment. From getting a general checkup, to advising you on how to maintain a healthy weight, our doctors are here to help you achieve all your health goals. For more information on the primary care services provided at Vital Urgent Care, contact us today to schedule an appointment. Or, if you would like treatment for a non-emergency condition, such as a sinus infection or sprained ankle, you can also walk in to our clinic near Irvine, CA, for urgent care services whenever it is convenient for you.